Rolan Joni Young is a Senior Partner whose practice concentrates in Commercial Real Estate, Affordable Housing, Community and Economic Development, and Public & Municipal Law. She is a graduate of Dartmouth College and American University, Washington College of Law, and was a visiting lecturer at the Yale University Law School. Rolan brings to Berchem Moses PC more than 26 years of experience in leading legal services for significant real estate development projects throughout Connecticut. Rolan assists commercial developers, lenders, public housing authorities, healthcare institutions, and for profit and non-profit organizations by stewarding projects through the many legal complexities involved in building consensus and support for development proposals. From conceptualization to site selection, business formation, ownership progression, construction contracting, land use and zoning compliance, financing, and dispute resolution, she works with clients to achieve the final delivery of major real estate development projects. In a variety of capacities, Rolan has championed social justice initiatives which have removed obstacles and created meaningful quality-of-life improvements for disadvantaged communities in Connecticut. Rolan was Chairperson of the Board of Directors of the Connecticut Housing Finance Authority from 2006-2011 and is a former Chair of the Board and board member of the Community Foundation for Greater New Haven. She served as the first woman President of the Greater New Haven NAACP and was a member of the Executive Board of the NAACP Connecticut State Conference. 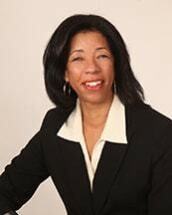 Rolan was honored as the Minority Business Person of the Year by Business New Haven in 1999 and was named one of 20 Noteworthy Women the same year. In 2013 she was honored by her alma mater, Hamden Hall Country Day School, with the Alumni Achievement Award. Rolan serves as Chair of the Board of Start Community Bank, is a member of the Greater New Haven Chapter of Links, Inc. and is on the Board of the New Haven Free Public Library Foundation. She is actively involved in the statewide community and has been a member of the Dixwell Congregational United Church of Christ since 1960.